MEME proudly presents Stolen Cargo. 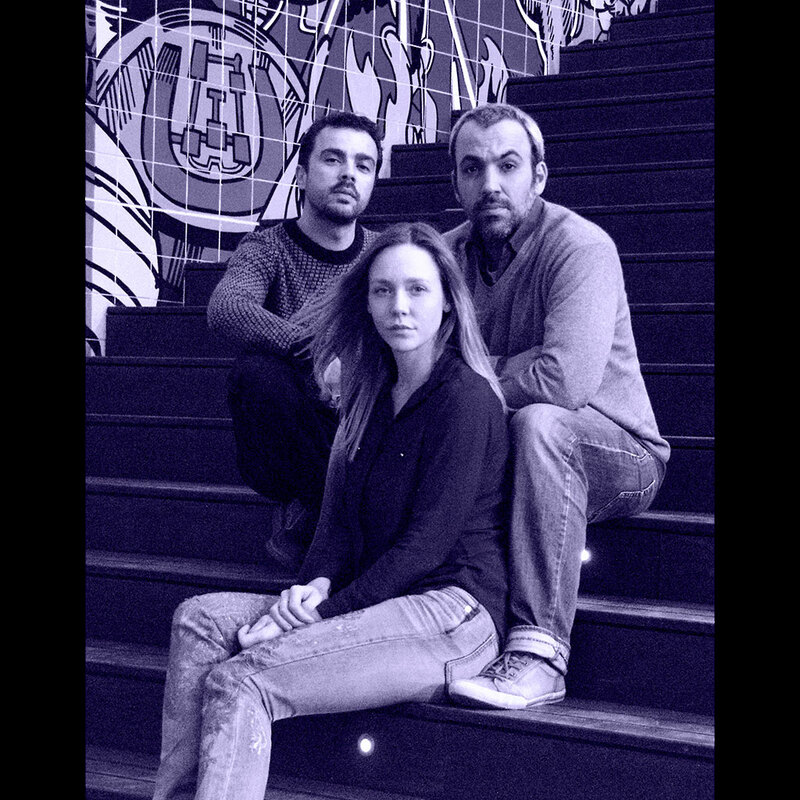 Stolen Cargo is a collective of one singer and songwriter, Helga from Denmark, and two music producers, André and Pedro from Portugal. André and Pedro met each other one night while coincidently djing at the same party. Later the two felt they needed to create their own music rather than just being playing other people’s tunes, and so started venturing into producing their own music. This was interrupted at some point, when Pedro moved to London and André moved to Los Angeles. During that time Pedro was djing and organising club nights in London, while André was djing in the LA Scene. But it was only a matter of time until they got together again; this time in London. So they resumed their endeavours while sharing a house in Haringey with 6 other music producers, a crazy place where the passion for music production was to be reborn again. At the time Helga was composing and producing her own songs, and studying singing in Copenhagen, when she met André on one of his trips. From that day, they would meet up regularly on Duckett Road producing music. Now based in Lisboa, the trio has once again been gathering regularly to produce Nu Disco and Deep House. First spotted by the MEME Sounds crew, Stolen Cargo is soon to release some music on the Minneapolis imprint and have a ton of freshly baked tunes ready to deploy. Currently they are working on some remixes for other artists, while wrapping up their live act which is planned to be launched mid of this year. Get the ticket, enjoy the ride because 2014 seems to promising for these guys.